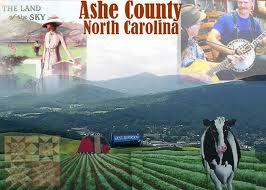 Economy in Ashe County North Carolina! Located in the northwestern corner of North Carolina, there is a reason well-known companies have decided to open their doors here. A long history of manufacturing in our county has served to foster knowledgeable and skilled workers who take pride in results and creativity. This tradition is embedded in the mindset of our workforce. The combined low cost of doing business and a strategic location ensure companies operating in Ashe County enjoy a formula for success. Another factor that keeps Ashe County&rsquo;s economy strong is tourism. Tourists from far and wide are continually drawn to this magnificent region. The four distinct seasons, miles of unspoiled wilderness, spectacular mountain views, and unique attractions bring visitors from far and wide to the county. Tourism is a vital part of Ashe County&rsquo;s economy, and the number of visitors that flow in and out of the community guarantees a steady stream of traffic to the many businesses that occupy the area. If you&rsquo;re looking for a community that has managed to retain a strong economic climate, Ashe County is the place for you. Those who purchase real estate and other properties for sale here are astonished by the number of opportunities that exist within this thriving mountain community.&nbsp; A1 Mountain Realty can help you find the right realty for your specific needs. Come by A1 Mountain Realty and let the agents tell you about the area, they can tell you about Ashe County&rsquo;s wonderful schools, reputable hospital, dynamic economy, and fantastic lifestyle. There are so many Things to Do in Ashe County that once you&rsquo;ve settled into your new home, you&rsquo;ll never want to leave, so view the Ashe County NC MLS to start searching for your ideal home here today! ← Retiring in the NC Mountains!